Double the size it used to be, Charlie’s is well equipped to cater for its ever increasing popularity and the hungry masses that come in and out every day. It’s not just the sophisticated décor and seating capacity that makes Charlie’s a popular dining choice. Well priced and acknowledged for their generous portions, I have spent many an evening on a personal mission to finish a starter, main and dessert, without passing out. There’s no good in trying to finish lavish portions of distasteful food, at Charlie’s however, it is quite the opposite. Often advised to “skip a starter” by friends who have consistently stated that “no matter how many days you don’t eat for in preparation, you will never finish a three course meal here!” It is impossible for me to bypass the sizzling gambas pil pil, creamy garlic mushrooms or an aioli supplemented blooming onion. It just won’t happen. In Sanskrit, the word Maharaja means “Great King”. It is the title bestowed on the rulers of small states during the British colonisation of India. This appellation was never more fitting a title for a restaurant that quietly and unassumingly rules its own small corner of the marketplace in the former British Colony, now British Overseas Dependent Territory, of Gibraltar. Any fan of Indian cuisine will find an extensive selection of dishes lining the Maharaja’s menu, including a range of specials and alluring dishes found in and amongst the usual favourites. When looking for a restaurant in Gibraltar with a bit of spice, the Maharaja is the little bit of nice that you desire. In a city where curry houses are mostly just Indian Takeaways, the Maharaja sets itself apart not only by the quality of its cuisine but, more importantly, by the comfortable and friendly surroundings of its clean and airy restaurants. In fact, the Maharaja is the only ‘real’ Indian restaurant in Gibraltar, amidst a sea of takeaways with limited dining areas. The jewel in the Maharaja’s crown, however, is that they have two restaurants situated in two very different locations around Gibraltar; one just off Main Street (Tuckey’s Lane), in the centre of town, and the other in the more attractive quayside location of Queensway Quay Marina. Napoleon believed that an army marches on its stomach, and now Revolutionaries, Gibraltar has a new, stomach-pleasing restaurant for you to plan your next coup d’état in! The Cuban, a recently opened themed bar and restaurant, has burst onto the revolutionary cuisine scene, bringing a slice of Havana to Gibraltar. Since opening its doors on 3rd August 2012, The Cuban has quickly developed a reputation for exciting, delicious food, in a nicely themed setting and boasting excellent, friendly service. If you are looking for something original, different and tasty, you need look no further. This restaurant offers a very full and varied selection of dishes enough to excite any palate. You will find yourself licking your fingers in delight as you munch your way through some exciting new nibbles like the Yuca Con Mojo (fried banana), the Papas Rellenas (potato croquettes with a twist) or the Mariquitinas (go see for yourself!). Don’t worry though, their range of starters, salads and snacks have some staple favourites too, for those less adventurous gourmands out there. Just like the rest of Gibraltar, Gibraltar’s restaurants have a lot to offer, culturally the country has so many influences that it is not surprising that you can find everything from typically Spanish cuisine through to fusion Thai and Malaysian style noodles and of course traditional fish and chips. The same multi-cultural community that lives together eats together and the wide variety of foods comes down to the rich diversity that the Gibraltar offers. The Moroccan community are represented and offer some of the best Cous Cous and pinchitos that you can find on the rock. If that’s not your idea of a good night out in a Gibraltar restaurant, why not try a Chicken Jalfrezi from one of the great Indian restaurants in Gibraltar or alternatively takeaway and eat in the comfort of your own home. Eating during sunset facing west at Jumpers wheel in Gibraltar is a great experience. The restaurant offers a wide variety of fresh fish and Is always a firm favourite with parties here in Gibraltar. Of course, breakfast at sunrise in the Caleta hotel can’t be ignored either. Their restaurant Nunoz is a great place to dine out in the evening. You can eat in the old town, you can eat in one of the Gibraltar Marinas, the choice is there and it’s up to you to make it. Here at Your Gibraltar TV we wanted to show you the options available and, if we can, bring you great offers on new places to eat. Try the red curry in brandy sauce at Lek Bangkok for a true taste of Thailand, or the Chicken, chorizo and jamon pasta at Café Rojo, the choice is yours. It’s not just about eating out; takeaways are vast in Gibraltar and range away from the usual kebab and chips, although there are some great kebab shops to. Why not get a Chinese to take home, peeking duck with pancakes, a firm favourite from the Kowloon in Watergardens. 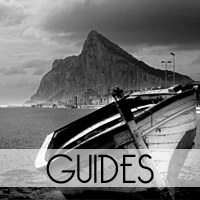 The Gibraltar Restaurant Guide from Your Gibraltar TV is purely based on our opinion, but as being part of the Your Gibraltar TV site and concept, we are always looking for your feedback, comments and views. Should you choose to leave any feedback, please be polite. Some people say that when something is worth it, you don’t mind paying for it. The person who buys a £250,000 Rolls Royce doesn’t complain about how much it cost him. He is proud and happy to be able to say “I own a Rolls Royce” and with owning it comes the satisfaction of driving the Rolls Royce. Well the same can be said about the Yellow House in Gibraltar. The restaurant that some people said was just too expensive may in fact be the “Rolls Royce” of the restaurant world here in Gibraltar. Their menu is high class, made with the best ingredients and all wrapped up with splendid décor and friendly staff that look after you during your dining experience. Having eaten there several times, at lunch as well as for dinner, I can say I have had truly great experiences at this restaurant. To start of the meal I would have to recommend some of their delicious jamon, which is of the highest quality you can find. The “Degustation” menu that is available is second to none, and offers you a small selection of all the great dishes on offer. As an individual who is seriously weary of immersing themselves into a culture head first, legitimate Italian restaurants worry me. Now any establishment that counts dough balls with a fine selection of garlic based condiments as a starter, is placed prominently on my list of ‘a-ok places to eat’, and let me tell you, the list is short. Now Pizza Express does profess to be an Italian cuisine based eatery, but does so without hurling ostentatious and un-pronounceable dishes at its customers. The restaurant presents the delightful fullness that can be obtained by eating a Pizza Hut takeaway, but with a hint more culture and freshness. Gibraltar is one place in the world where we are in no way hard pressed for restaurants to eat at. From quintessential Spanish Tapas to cheese engorged Italian style pizzas, this little Rock boasts a wide spectrum of eateries. One in particular tends to stand out for me, however, and that’s a little place called Ipanema. The Ocean Village based restaurant encompasses a quirky Brazilian style rodizio with an all you can eat buffet made up of over 50 homemade Brazilian and international dishes, including classic favourites; lasagne, chicken and stews. Ipanema’s buffet also includes a particularly extensive salad bar that I tend to avoid as an adamant carnivore, but they certainly look appetising. The Rodizio is certainly the most interesting part of the Ipanema experience with members of staff serve various Brazilian style meats at your table. The adamant favourite of the meats would have to be the pork and pineapple combination. Other popular choices include; steak, chicken wings and sausages, all cooked to perfection. 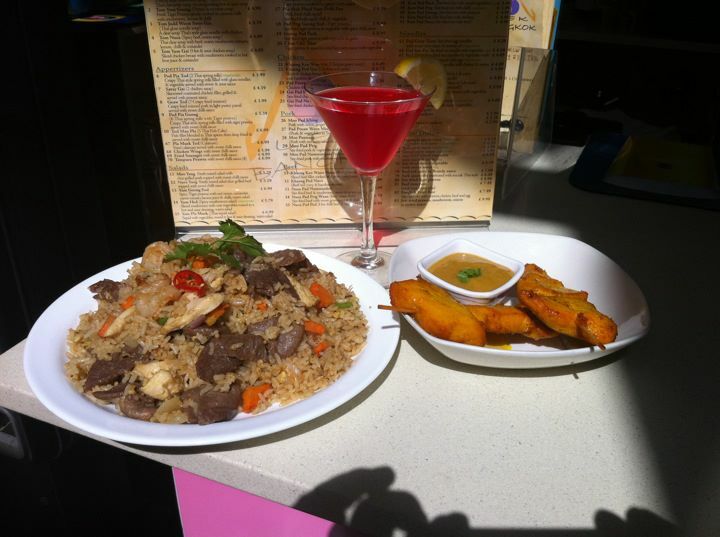 If you live in Gibraltar and like Thai food, then you already know all about Lek Bangkok. The restaurant was opened in 2006 and has become a firm favourite for so many locals here in Gibraltar. Be it a quick takeaway, quick lunch or a sit down meal, Lek, Feed and their team look after you 100% all the time. Feed and Lek are a husband and wife team, with more experience in cooking, restaurants and the hotel business than you can even begin to imagine. Their friendly and caring style has made them two of the best business owners in Gibraltar and has been the key to their success.